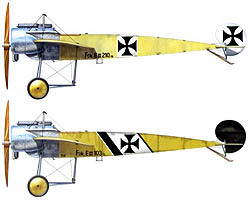 The Fokker E.3, sometimes referred to as the Eindecker ("one wing"), deserves a significant place in aviation history. 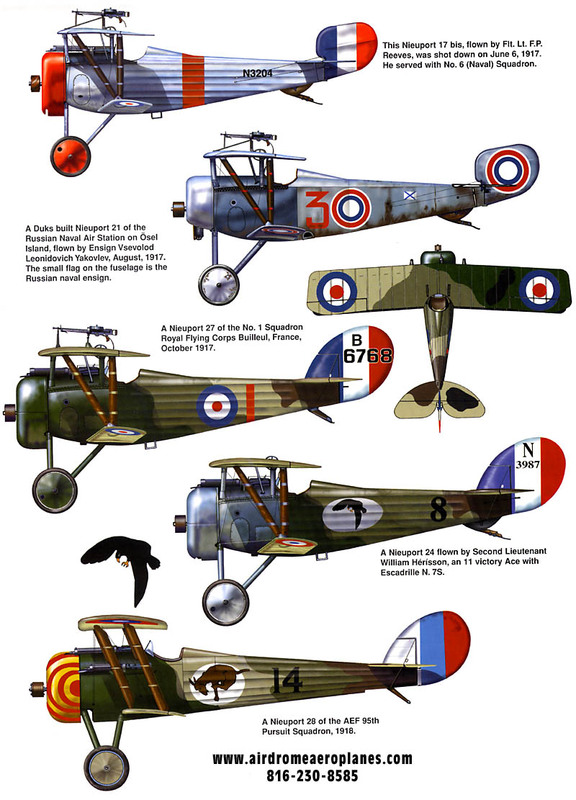 Not necessarily because of its aerial prowess, but because it was the first combat aircraft in the world to be equipped with a forward-firing, fixed machine gun synchronized to fire between the propeller blades. 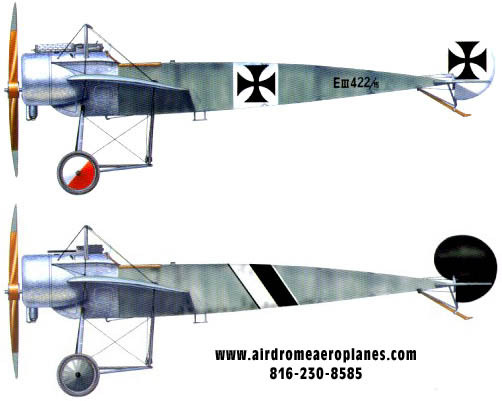 The E.3 was the third and most important variant of Fokker's original monoplane family. 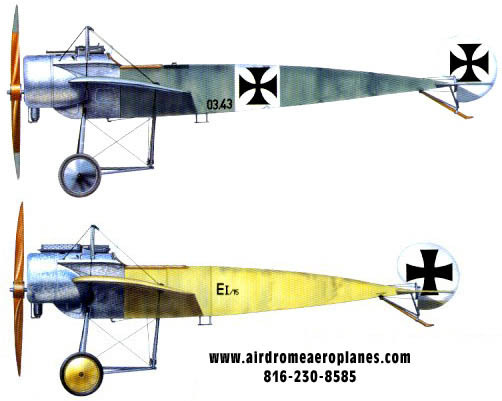 Being a small but important step forward in the evolution of the fighter, it is important to note that this aircraft used wing warping for roll control, rather than the "more advanced" aileron flight-control system. 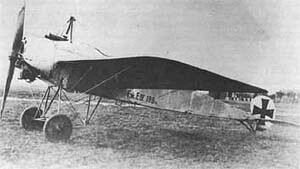 Almost similar to the Fokker E.2, but built from the outset with the 100hp Oberursel U I engine. Over 260 E.3's were built. 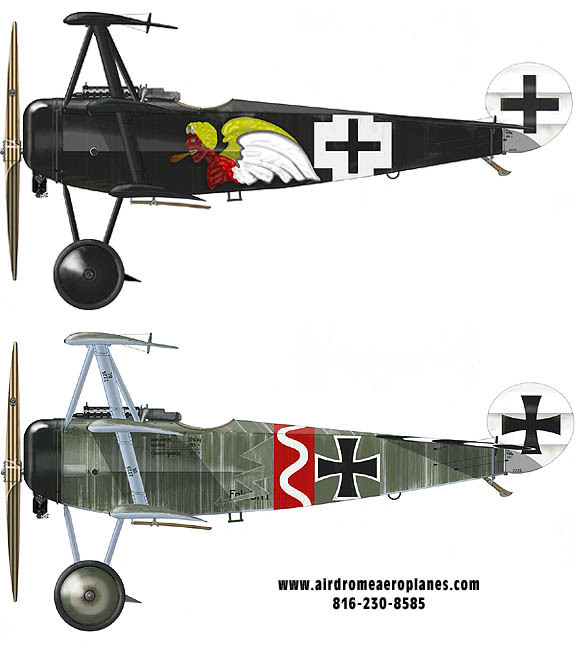 A second gun was sometimes added, but the additional weight seriously decreased performance. 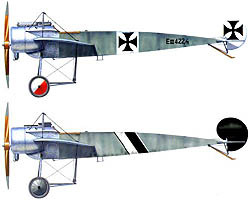 The E.3 was the most famous of the series, apart from its forward-firing gun it had the advantages of maneuverability and climbing speed, but was inferior to allied aircraft in other respects. 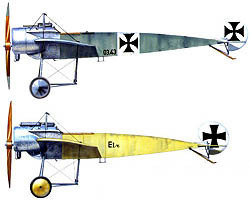 Even at the end of its operational life the Eindecker did not use ailerons, this decreased it's ability to avoid more agile enemy aircraft like the Nieuport 11. 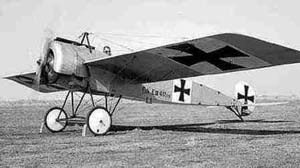 The E.3's 100 hp Oberursel rotary engine was not very reliable. 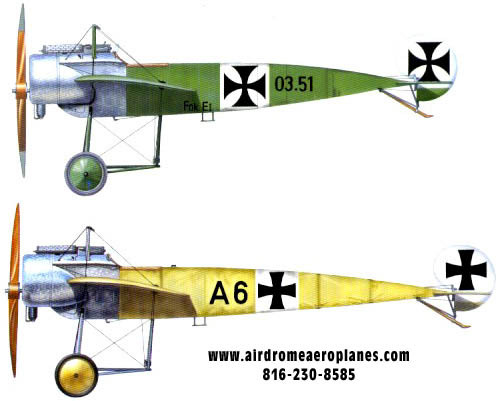 Engine power decreased with altitude and so the plane could not operate over 3,000 m (9,800 feet). 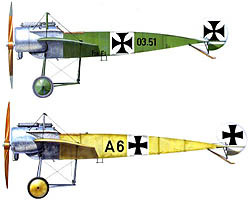 It took 30 minutes to get to 3,000 m and maneuverability was almost nonexistent at that altitude. 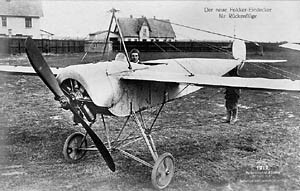 The Eindecker was a direct copy of the Morane-Saulnier "Parasol" except for the characteristic Fokker tail plane and the synchronized machine gun. 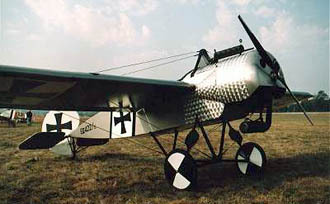 The "Eindecker" was typically armed with a single LMG 08/15 7.92 mm machine gun firing through the propeller using a synchronizing gear. 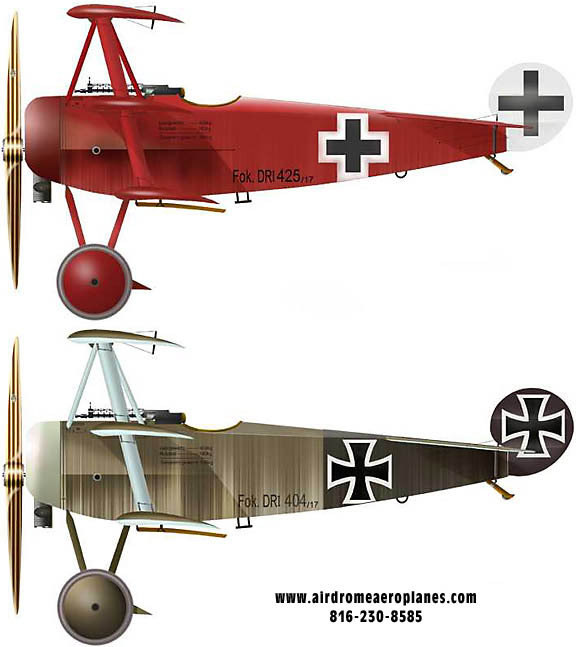 Consists of materials required to cover aircraft, ceconite poly tak, poly brush, poly spray, reinforcing tape, rivets, finishing tapes. 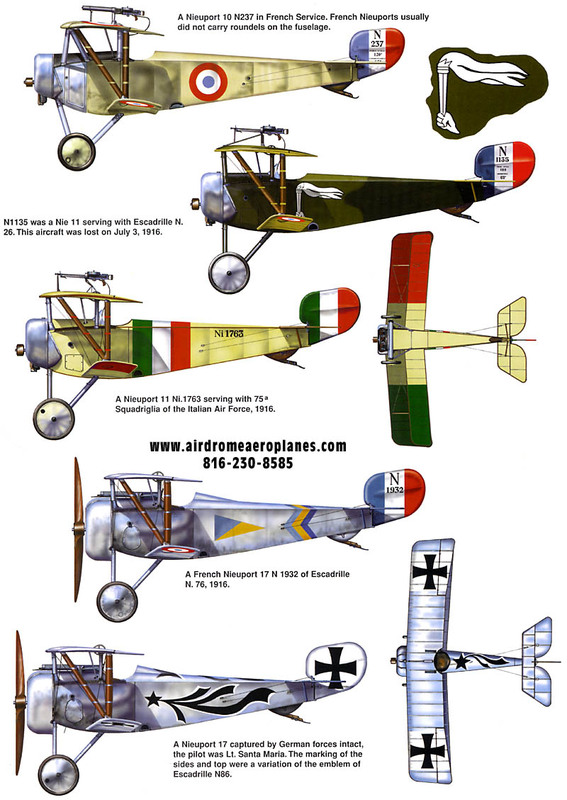 Approximate building time: 75 hours. 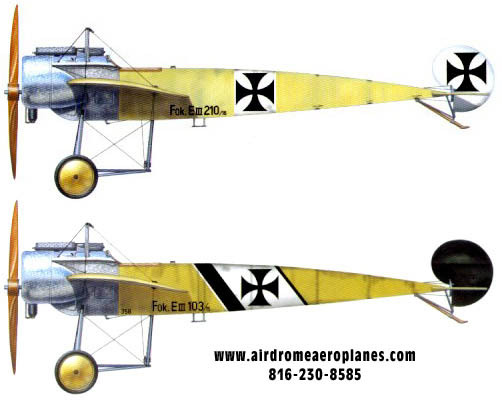 The Airdrome Airplanes 3/4 scale FOKKER E-III can be constructed using normal hand tools consisting of hacksaw, hand drill, file, pop rivet gun, wrenches, and hand nico press tool. Area required for construction should be approximate the size of a single car garage.